Kapil Sharma, the celebrity stand-up comedian who is known for his blockbuster show ‘Comedy Nights with Kapil’ has transformed himself completely by losing oodles of weight and is looking cool with a well-toned body. Mr.Sharma rose to fame after winning the reality show ‘The Great Indian Laughter Challenge’ in the year 2007. Later, he won six seasons of the show ‘Comedy Circus’ in Sony television. In 2013, Kapil has launched his own show ‘Comedy Nights with Kapil’, that went on to become one of the highly watched shows in the history of Indian television. The program was produced under his own banner ‘K9 Productions’ and is aired on Colors. Kapil was also nominated for the Swachh Bharat Abhiyan by the Indian PM Narendra Modi, and he regularly promotes it on his shows. He first decided to lose weight for his debut movie ‘Kis Kis Ko Pyaar Karoon’, but you’ll see an entirely new Kapil in his upcoming movie ‘Firangi’. 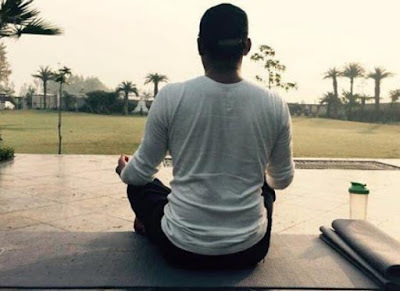 Kapil Sharma has been working day and night to shed those excess pounds from his body for his new film. 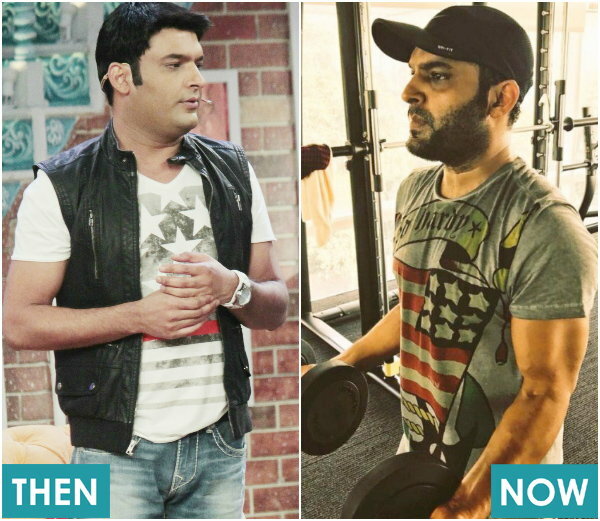 You can see the weight loss progress of Kapil Sharma on his Instagram as he is frequently posting latest pictures of him working out. The weight loss transformation of Kapil sharma is pretty clear as the erstwhile chubby Kapil now looks much leaner and trim. 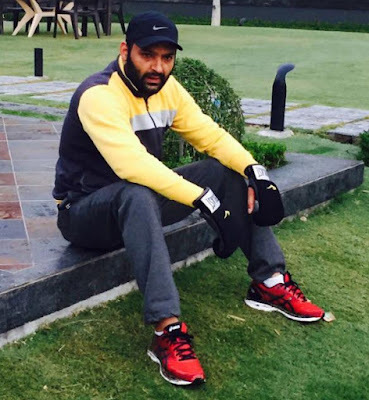 Kapil emphasizes on waking up early in the morning at 6 AM. He then cycles for an hour. According to him, cycling and Yoga are two forms of routines that gave him such excellent results. He also indulges in cardio workouts for about 10 to 15 minutes. Another 20 minutes would be dedicated for weight training to build muscle. He stays away from alcohol and smoking to keep himself fit and healthy. It is also a big No to junk foods and sugar-based items, as they make one gain weight instantly. Kapil believes that – No matter how hard you train, you’ll not get lean as long as you don’t change your eating habits i.e., diet. Here is a sample diet schedule followed by Kapil on his regular days. Breakfast: 1 brown bread sandwich with egg omelet, lettuce and cabbage stuffed inside. He also eats some strawberries and drinks a glass of Apple juice following the sandwich. Lunch: He just eats boiled broccoli and/or celery. His lunch is very sparse and simple. Dinner: Vegetable & Fruit Mixed Salad with boiled brown rice. During breaks, Kapil Sharma makes sure that he consumes enough calcium through daily products. It is mainly because calcium is said to strengthen the bones, which is necessary for building muscle. 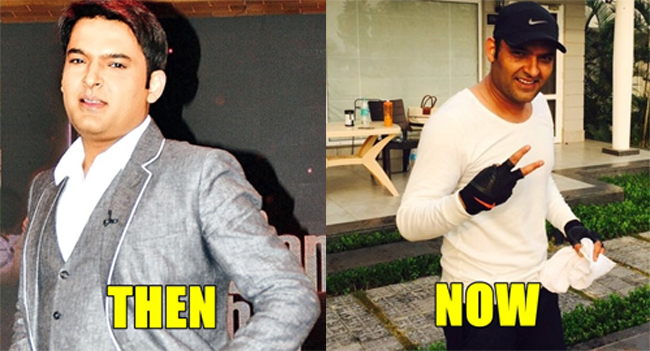 So, this is how Kapil Sharma lost weight and is looking fit and healthy. If you’re planning to follow the same diet and workout routine of Kapil and lose weight, then I must warn you against it. Not every two individual’s physical needs are same. So, you should take his diet and workout schedule as a sample and build your own version, depending on your physical activity and body needs. Only then, you’ll be able to shed excess weight without affecting your health in a bad way.